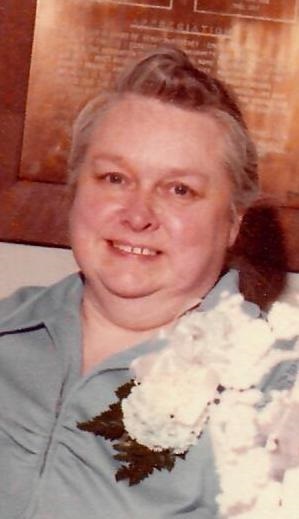 Betty R. Brandon Ward, 96, of 219 Park Ave. Oil City, PA. , died at 6:02 A.M. Friday Feb. 8, 2019 at Oakwood Heights after a period of declining health. Born June 24, 1922 in Franklin, PA., she was the daughter of the late William S. Brandon & Susie Morrison Brandon. Betty attended Rynd Farm and Oil City Schools. She was married on Jan. 27, 1947 in St. Joseph Church Rectory to John J. Ward and he survives. Betty had worked for several years at the Variety Store and was a homemaker for many years. She was a member of the Oil City Wesleyan Methodist Church, where she had served for over 40 years as a secretary and treasurer for the Women's Missionary Society. She enjoyed cooking and babysitting for friends and family. Betty and John had visited all 50 states and the southern Caribbean. Friends will be received from 2-4 and from 7-9 P.M. Sunday in the Reinsel Funeral Home. Funeral Services will be held at 2:00 P.M. Monday in the funeral home with Rev. Charles Brewbaker, Presiding. Interment will be in Shaw Farm Cemetery.